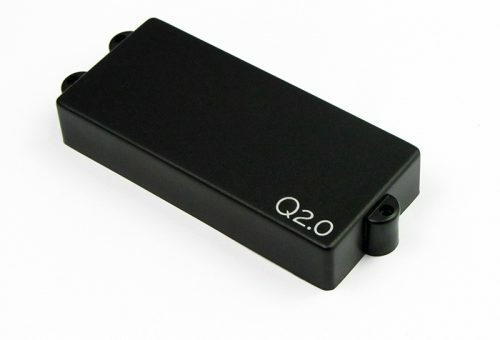 The neodymium Q-tuner q2.0 MM model for 5 string bass is the most powerful and dynamic passive pickup in the business. Killer dynamics. 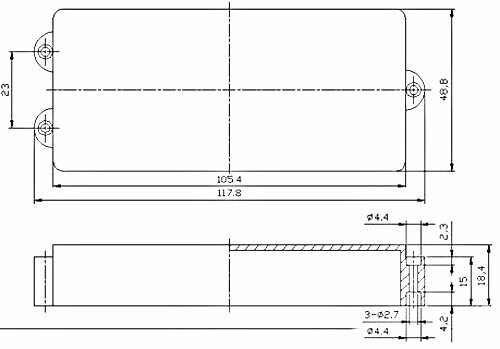 The neodymium magnet assembly has been designed to obtain the highest possible kGauss value in the ultra thin blade poles without impairing sustain. Full range sound quality with a very rich, fat low-end and sparkling highs. Last but not least, the usual Q-tuner industrial-strength construction. Q-tuner has engineered the Q2.0 series to set new industry standards. The passive Q2.0 humbucking pickups produce a tight, clean and life-like bass sound loaded with harmonics. High grade neodymium magnets in a unique alignment ensure an awe-inspiring dynamic range. Great for slap-based percussive playing technique. Spoil yourself, and hear how a bass guitar is meant to sound.